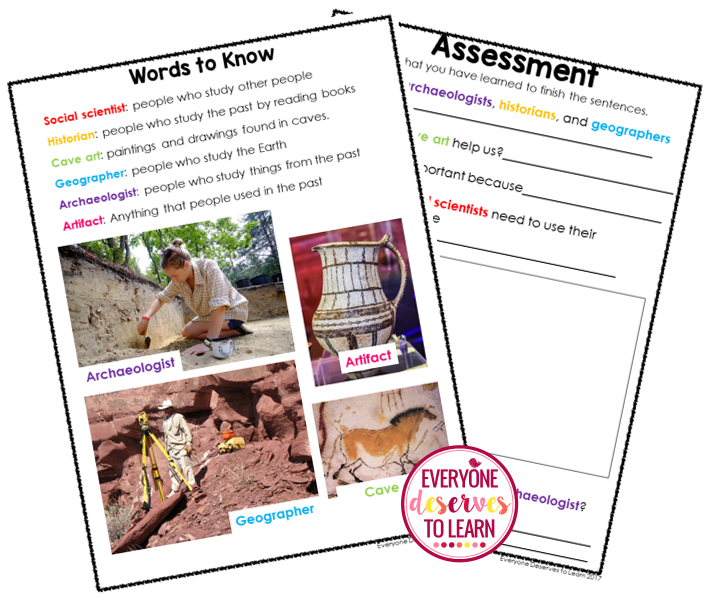 One of my tried-and-true vocabulary strategies for science and social studies units is to teach vocabulary in context. Learning vocabulary is way more than just associating a word to a definition, which is why students need to exposure and practice using the word multiple times before they are able to remember it and produce language with it. Simply put, they need to know what it means AND they need to be able to use it. I often pull my English Language Learners out of their Social Studies or Science classes, so I infuse English language acquisition strategies throughout the same themes and topics as their peers. Read on to find out how I prepare my units to teach vocabulary in context. 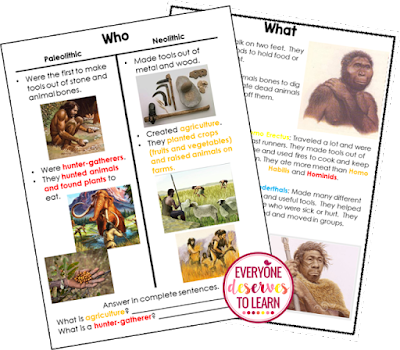 First, I look at the textbook or scope and sequence to determine the essential questions or understandings, then I find the vocabulary that supports those understandings. For my Guided Social Studies Unit on Early Humans, seen below, I would find about 6 of the most important words, forgoing the other 15 or so that are suggested by the textbook. Depending on a student's proficiency level, I may add more or take more away to further modify. I know you're thinking, but what about the other 15 words? They may be important words for native speakers to know, but are they the MOST important words my limited English proficient students need to know in order to speak, read, and write about this topic? Probably not. By carefully and methodically taking the "fluff" words out of vocabulary instruction, I'm able to pinpoint instruction and really drive home the meanings and usage of those 6 most important words. Once I've selected the 5 or 6 most important words, I use text enhancements to provide ongoing visual clues. Color coding words throughout a unit has been a HUGE help to my students! If you're using a textbook, try different colored highlighters, washi tape, or post-it flags to help students seek and find their words easily. It's best for my students to receive vocabulary and content instruction in manageable chunks. Unlike a page from the textbook, my unit would contain about a single paragraph's worth of reading, about which we discuss and take notes before continuing. The oral and visual repetition throughout the unit creates the enduring understanding, not a single word and definition on the sidebar of a page. To start the unit, I preview the vocabulary using lots of images and videos to provide background knowledge. Throughout the unit, we refer back to those images and color coded words to help us remember pronunciation and correct usage. I break down the information into manageable chunks, often relying on charts and diagrams to help my students create a deeper understanding without the "noise" of too many words. As you can see below, color coding runs throughout each unit, which is great for visual learners. For listening, musical and tactile learners, I create rhythms in the words and meanings which we can clap, snap, chant or stomp together. 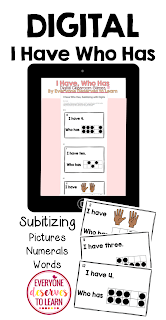 A fun vocabulary activity is to have students create their own rhythmic chant about a word. 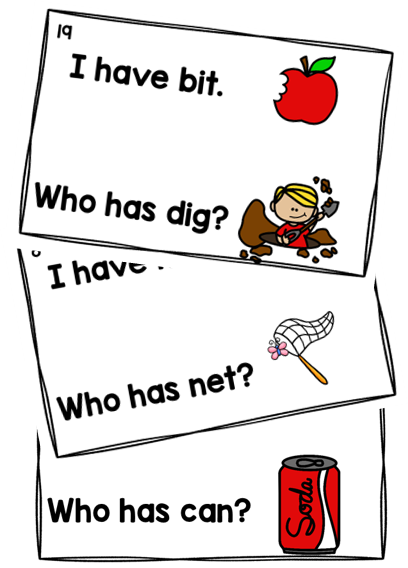 Click here to read more vocabulary practice strategies I use with my English Language Learners. When it comes time to assess, I make sure that the assessment the students take is in line with the practice they have worked on throughout the unit. 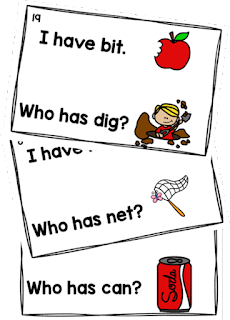 While I am looking for understanding of the word's meaning, I also need to see that students can dig deeper to use the word correctly and fluently. 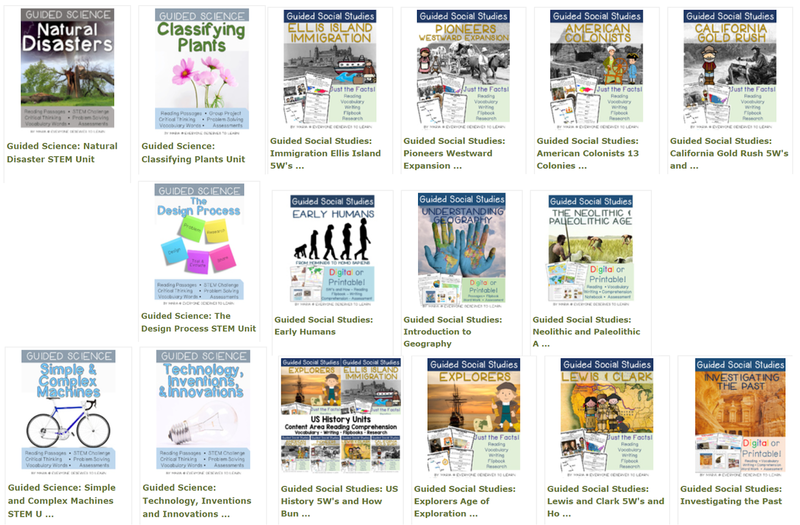 Below are some of the Guided Social Studies and Guided Science units available in my store. I've used them in grades 3-8 to teach vocabulary in context and reading comprehension across the content areas. 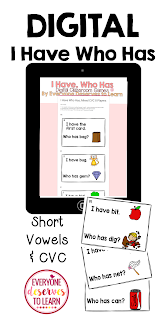 Written at lower reading levels, they offer grade and age appropriate context written at lower reading levels. 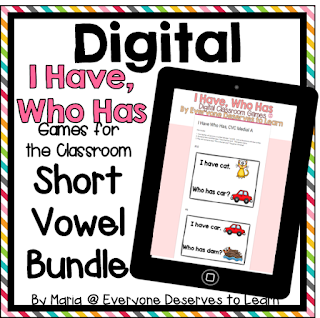 They are perfect for my English Language Learners! Click here to access the Guided Science units, covering many of the 3rd Grade NGSS standards. 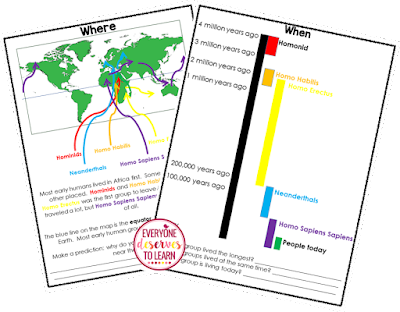 Click here to access the Guided Social Studies units, covering World and US History. 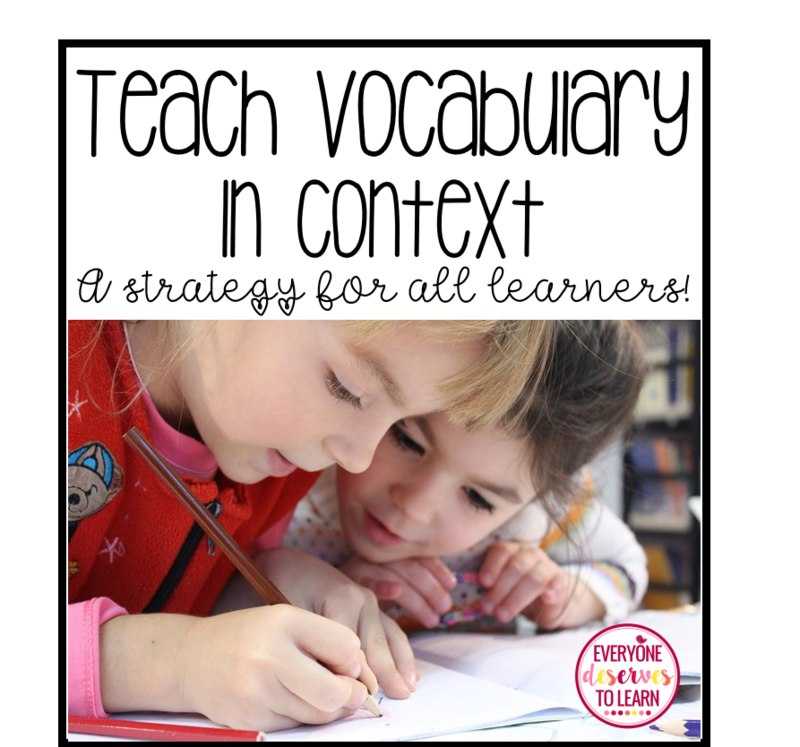 Teaching vocabulary in context is a strategy that will help all learners create enduring understandings across all content areas. Good luck! 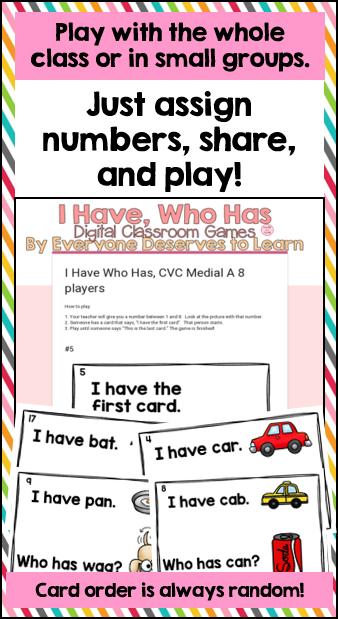 Do your students love the game I Have Who Has? Mine sure do! There's a big push in my school for 1:1 learning with devices like Chromebooks and iPads, so I created a digital version of their favorite I Have Who Has games! Would your students love this as much as mine would? 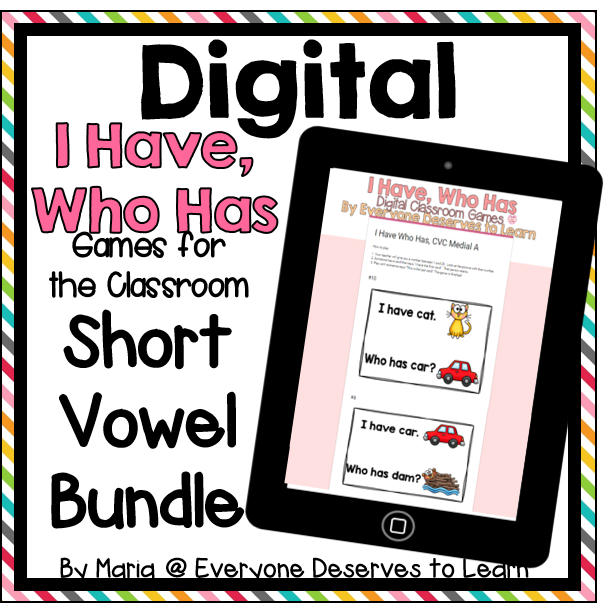 These games are perfect for 1:1 schools or BYOD (Bring Your Own Device) schools. Here's how to play! Students simply open up the game, find the number they were assigned, and play! Here's a video to help you visualize how to play. There are a few ways to open the game! 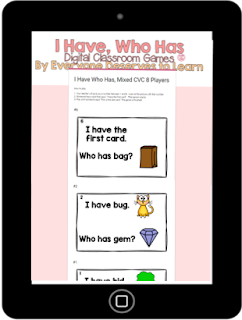 If you have a Google Classroom, share the game with students. If you don't, just share the link, and they'll type it into the URL bar the same as they would for any other link. Make sure to assign students a number, following the instructions in the game. Want to play again? Go for it! The game cards are random every time! I hope your students love it!